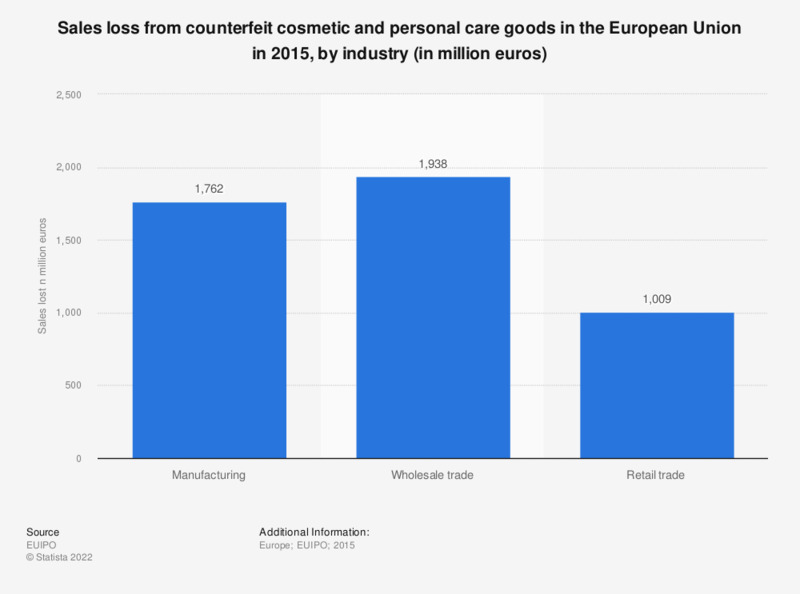 This statistic shows the overall sales losses from counterfeit cosmetic and care goods in the European Union by industry type. Thecosmetic and personal care wholesale trade is losing the most money with 1.9 billion euros. Do you know what the penalties are for being caught buying and/or selling counterfeit goods in the UK?